Shabbat worship is at the center of religious life at Reform Congregation Oheb Sholom. Weekly Shabbat services are held year-round. Our service offers many opportunities for congregant participation, and a mix of English and Hebrew is meant to make all in attendance comfortable. In 2013 we adopted Mishkan T’Filah, the latest Reform prayer book, as our siddur for all services. 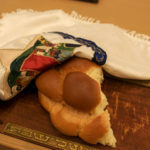 Most of our Shabbat services conclude with an Oneg, featuring refreshments donated by members marking special occasions. Special Shabbat events include a monthly appearance by our student cantor and special services led by classes in our Religious School. Watch the calendar for Saturday services when Bar and Bat Mitzvahs are held and for special Shabbat dinners for the entire congregation. Most Shabbat services start at 7:45 p.m. and last approximately one hour. Once per month the service begins at 6 p.m., and start times for other services may vary. Be sure to check the calendar.